JSE Combined Index – 6.6m shares / $116.4m traded. (30 Advanced / 19 Declined / 11 Firm) . Ordinary Shares – Main Market – 5,843,212 shares, 36 stocks traded, 12 not traded. 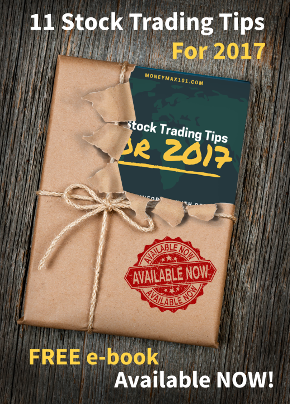 Ordinary Shares – Junior Market – 749,669 shares, 22 stocks traded, 12 not traded. Preference Shares – Main Market – 60,933 shares, 23 stocks traded, 18 not traded. Paramount Trading (Jamaica) Ltd (PTL) shares advanced 17.07% or +0.35 to close at J$2.40 with 7,000 shares traded. Stationery & Office Supplies Ltd (SOS) shares advanced 12.00% or +0.90 to close at J$8.40 with 1,000 shares traded. Ciboney Group Ltd (CBNY) shares advanced 7.69% or +0.01 to close at J$0.14 with 161,000 shares traded. Everything Fresh Ltd (EFRESH) traded between -5.85% and 13.45% above yesterday’s closing price of J$1.71 ( from J$1.61 to J$1.94) . It closed at J$1.71. 138 Student Living Jamaica Limited (138SL) traded between 0.57% and 11.71% above yesterday’s closing price of J$3.50 ( from J$3.52 to J$3.91) . It closed at J$3.58. Lasco Distributors Ltd (LASD) traded between -0.80% and 8.04% above yesterday’s closing price of J$3.73 ( from J$3.70 to J$4.03) . It closed at J$3.80. PanJam Investment limited (PJAM) traded between 0.01% and 6.67% above yesterday’s closing price of J$75.00 ( from J$75.01 to J$80.00) . It closed at J$77.89. Jamaica Broilers Ltd (JBG) traded as high as 6.06% above yesterday’s closing price of J$33.00 (between J$33.00 and J$35.00) . It closed at J$34.74. Salada Foods Ltd (SALF) traded between -1.28% and -14.87% below yesterday’s closing price of J$39.00 (from J$33.20 to J$38.50) . It closed at J$38.08. Sygnus Credit Investments Limited JMD Ordinary Shares (SCIJMD) traded between 0.45% and -8.07% below yesterday’s closing price of J$11.15 (from J$10.25 to J$11.20) . It closed at J$10.93. Everything Fresh Ltd (EFRESH) traded between 13.45% and -5.85% below yesterday’s closing price of J$1.71 (from J$1.61 to J$1.94) . It closed at J$1.71. Barita Investments Ltd (BIL) traded between 5.05% and -5.05% below yesterday’s closing price of J$49.50 (from J$47.00 to J$52.00) . It closed at J$51.54. Supreme Ventures Ltd (SVL) traded between -0.05% and -4.09% below yesterday’s closing price of J$19.81 (from J$19.00 to J$19.80) . It closed at J$19.35.